Fixed various bugs in the latest Chrome developer channel versions. If you are using Canary build or developer channel and happen to see any additional bugs, please contact us so we can inform the Chrome Team if necessary. Thanks! 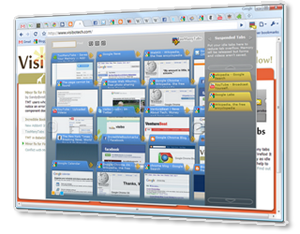 We are looking for volunteers to localize TooManyTabs. For details please click here. >EDIT I already have the update. Duh. >Can I edit posts or just delete them (sorry to >go off-topic). I order my tabs on the tab bar in a certain way, and I want to keep the same order when I open TMT. Not being able to do that is the reason I rarely use TMT.